As one of the six new collections revealed at CHA last month, we've been told our Springtime line is the most beautiful Spring / Easter line available this year! The color palette is soft but not too soft; the designs are a mix of traditional and vintage and with just two Easter-specific designs, you will be able to use this collection year-round! 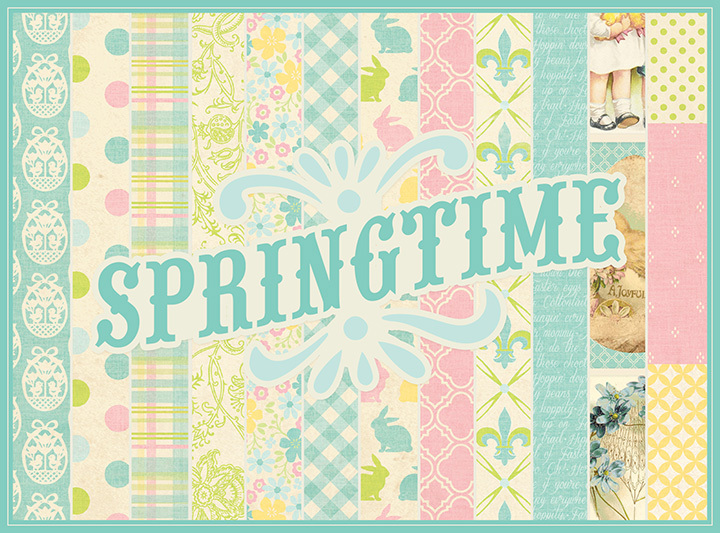 Springtime is available in stores now...grab some today, you won't be sorry! Below is a look at the six double sided pattern papers, cardstock sticker and die-cut accents, as well as the collection kit and paper pads. 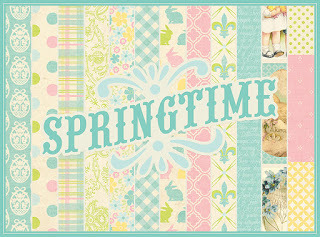 Spring is near, and we couldn't be more excited to share the full Springtime collection with you! 12x12 cardstock sticker - Authentique exclusive matte finish, exceptional quality! 6x12 cardstock pre-cut accents, double sided, great for layering! so so refreshing! Love every bit of it! Just perfect! Where will this be online? the bunny patterned paper is adorable! Please post several sample layouts using this collection. I would like to buy it but need some ideas first! Autentique is my favorite scrapbook paper manufacturer but there are very few page ideas available for any of your collections. I think you would definitely increase sales if you offered scrapbookers more layouts to copy.